It's all very well for me to ask for stories and wanting to read your stories, but where does one begin? How do we begin writing? Collab-o-Write is a place where you can find support in your writing and collaborate with others. You will find projects created by students for students, as well as writing tips. It's a great place to begin. Collab-o-Write even offers pictures and cartoons to help inspire your writing. Another feature Collab-o-Write offers you is the possibility of ending someone else's story. You can choose from mystery stories to adventure stories, and for the romantic, there are also romance stories for you to end. Why not select a story to complete and compare your endings with your classmates and friends? 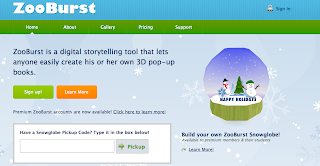 ZooBurst offers writers another great way of creating personalized stories and books. But with a difference. 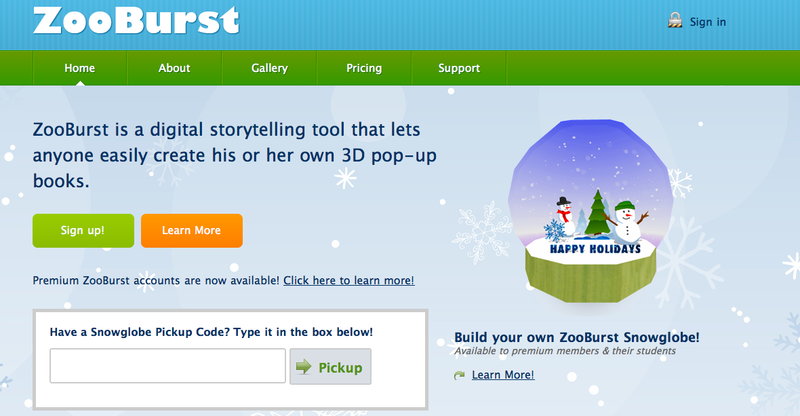 ZooBurst is a writing tool which creates pop-up books. You can also browse the gallery and read others' pop-up stories. 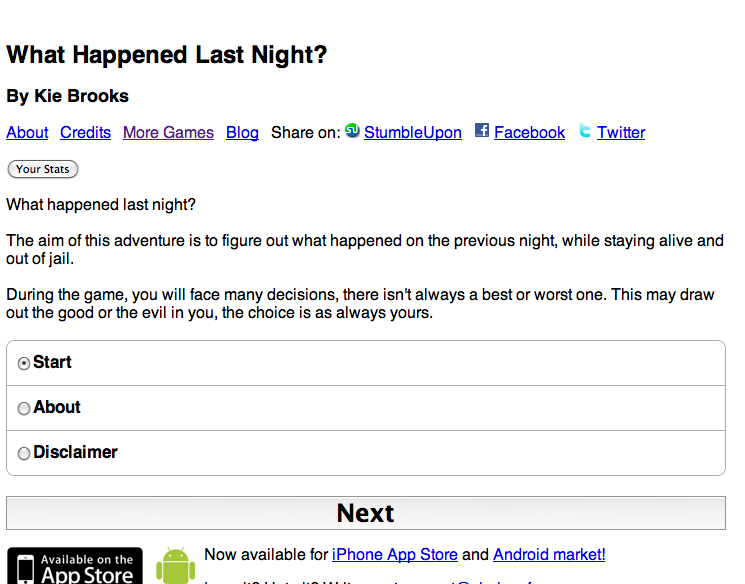 As you click on the arrow, the page will turn and a new scene will pop up with the continuation of the story. I've mostly mostly mentioned sites and tools which provide practice in English - how about other languages? Novlet is a collaborative writing site where you can write in English and in other languages. 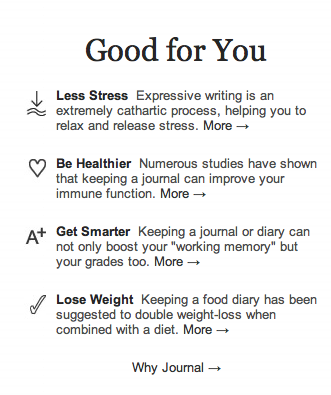 You can find stories and more tips for improving your writing. Writing no longer needs to be a lonely process. You can collaborate with others. You too can inspire others. 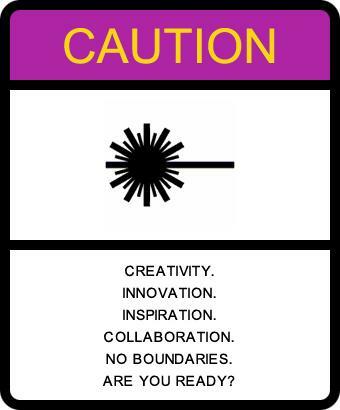 And best of all, you can share your inspiration and creativity with others. Do you ever feel that you want more control over how you browse the web? More control to create your own world online? Netvibes gives you the possibility to personalize your web experience by bringing together all the social networks you belong to, pages you visit regularly, photos, widgets and a lot more. You can access your personal space from any computer or mobile and keep track of your favourite topics. Netvibes also has a blog which you can follow or read up on the latest developments and trends using Netvibes. In a nutshell, Netvibes allows you to create your own space and navigate the web as you want to, but it also allows you to connect with friends and share content. Ever had a hunch (a feeling)? 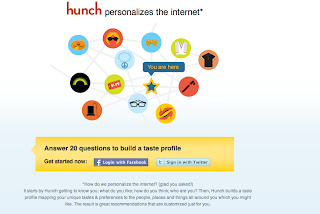 hunch is another tool which gives you the chance to personalize your web experience. 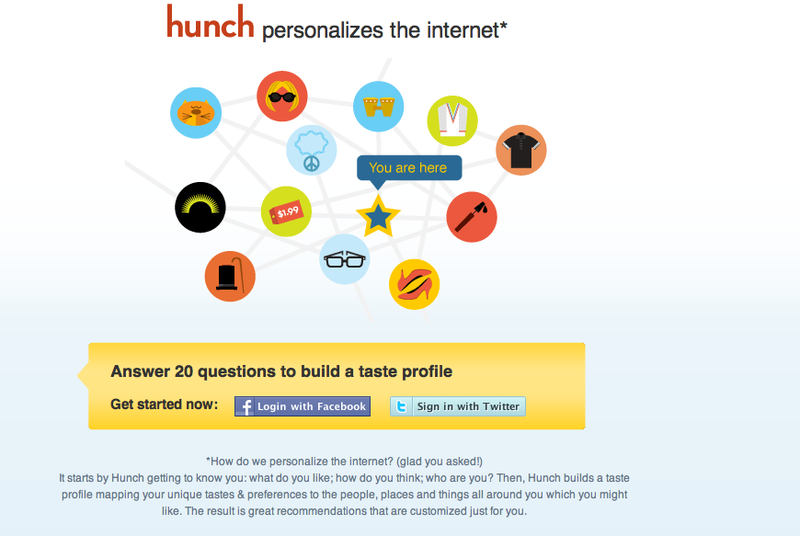 hunch personalizes your web searches, providing recommendations to your questions and inquiries. 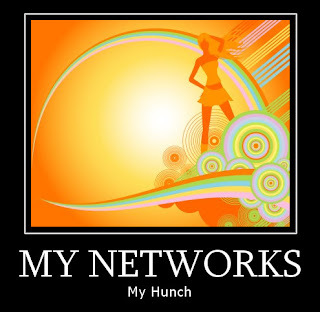 Hunch.com Review from PowerEPlayers on Vimeo. Enjoy your mashups, inquiries and personal spaces, but as always, remember to be safe, whether in social networks or when creating your own personal learning spaces. How will you be using your personal digital space? If language may be understood as a form of power, then telling stories is one of the most exciting ways of exercising that power. Telling a story is not only an act of power; it is also a gift. A gift you share and give to others. Telling stories is discovering who you are, where you stand in the world. It is a process of self-discovery and self-knowledge. It is a process of telling the world who you are and the world you come from. 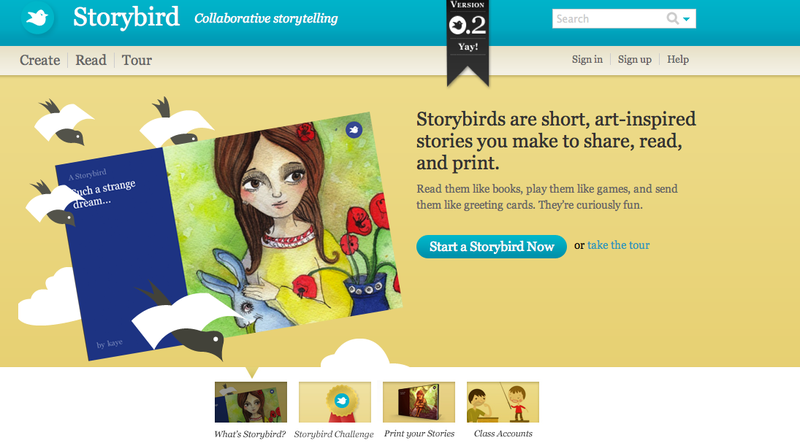 Storybird is perhaps one of my favourite story telling tools. 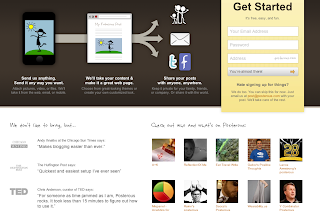 As with so many other tools, you need to sign up before creating your stories. You can also read other stories which have been created and shared on Storybird if you feel you would like to see the endless possibilities that Storybird lets you create. 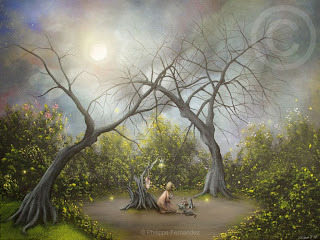 I would love to read your stories - leave me a comment and I will happily read any story you write. Every story is special. Every story takes a life of its own. What stories have you got to tell? 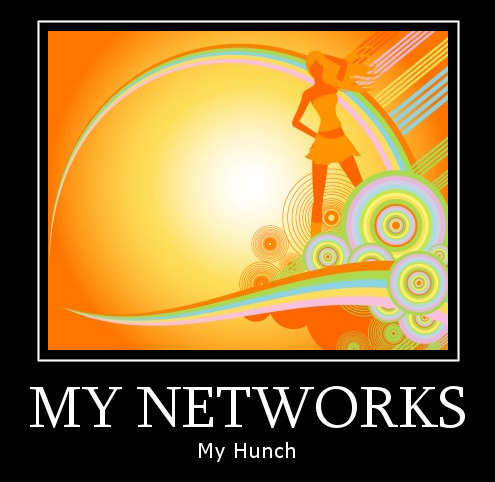 Social networks keep on expanding, multiplying, and offering us a wealth of social communities to choose from. Whether you facebook or wiki, social networks help us in a wide variety of ways - keeping in touch with friends and family, running one's business or simply helping us to learn and collaborate more easily. Wiggio is a great tool to use when you are working in a group. You can create your own group, invite who you want in the group, store and edit files, host web meetings and even take polls in real time. If you feel that you need a more personal tool to help you in your day-to-day, Evernote comes to your rescue. Evernote is free for Mac, Window and Android users, easy to download and install. With Evernote, you can collect all the data you capture in the same place and quickly access it anywhere. You can use Evernote with a group as well. Which of these tools will you be trying out in 2011? Have you ever wanted to jump into a story and change it? Have you ever wanted to re-write a story to suit your mood? And have you ever wanted to change a character by making him or her act differently? That is exactly what you can do with Choice of Games. 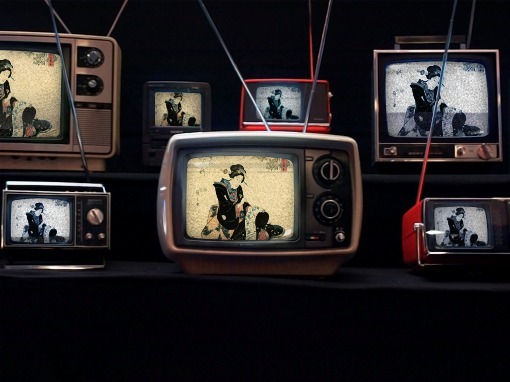 Choice of Games brings you stories which you can interact with. 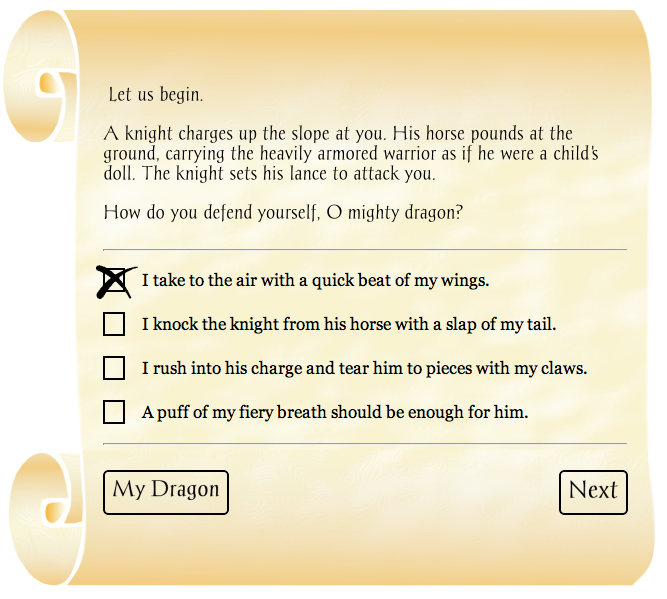 As you read the story, you are offered multiple choice questions. Your answers will then determine the next part of the story. I enclose an example here below from What Happened Last Night? As you make your choices, so too will the characters. Now, how about that for reading with a twist? 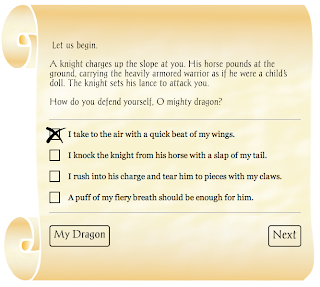 There are different kinds of stories to choose from as well - romantic to adventure stories, and even dragon stories. Choice of Games offers readers narratives in which they can take an active role. 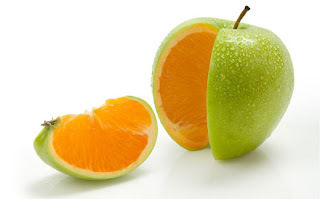 The more meaningful your choice, the more meaningful the outcomes of the story become. 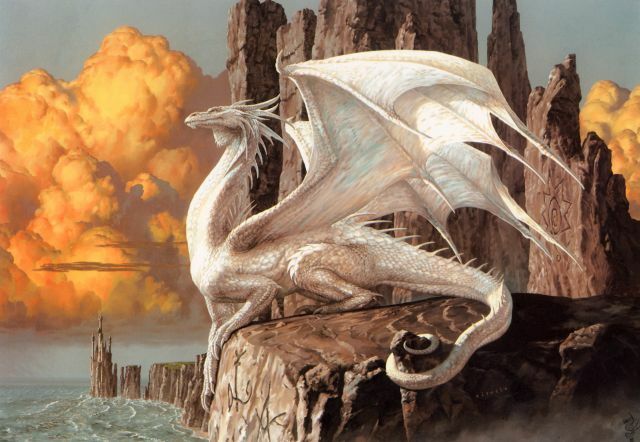 I'd like to thank Kyle Mawer for having first posted Dragon Game in Digital Play - one of the most innovative blogs around and which I have referred to before. If you are more interested in books and wonder how to choose a good book, why don't you join a book club? bookglutton is a social network where you can find information about books, exchange your views on books with others and participate in book clubs. 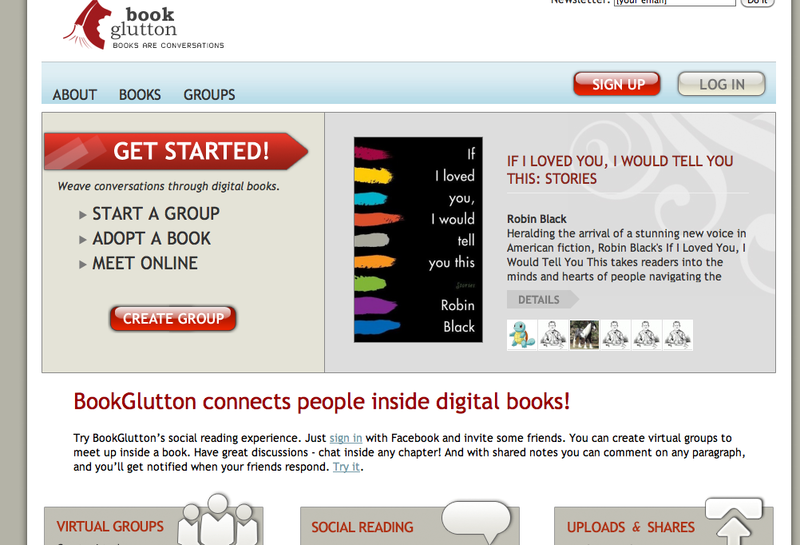 As with most other sites, you sign up, sign in and are ready to start a book group and exchange insights and ideas with others who are reading (or who have read) the same book. What will you be reading in the New Year? 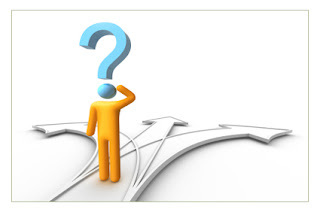 Sometimes we have lots of free time on holiday and weekends, and are not sure what we can do while at home. Why not try out Blabberize? 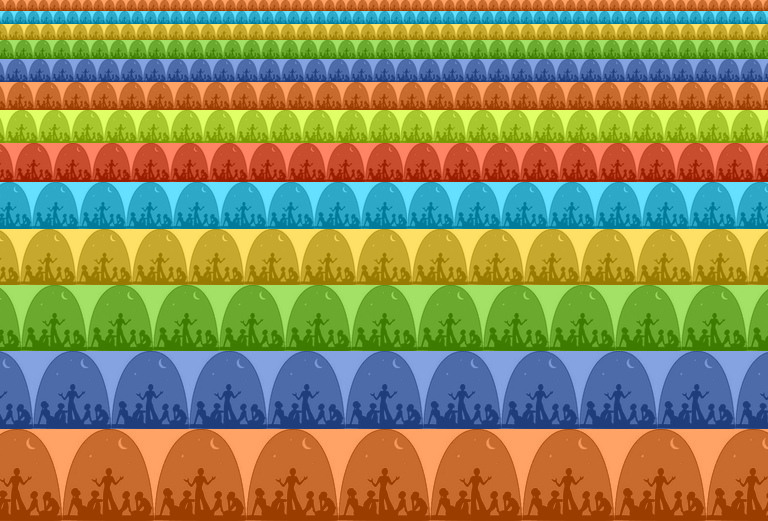 Blabberize is a cool site where you can upload any image and, well....blabberize it! As with many other tools, you need to sign up, sign in and follow the instructions, which are quite easy: upload your image, arrange the mouth, record your message and save. Then, share with friends and embed it in your blog or social network - simple and quick to do. What will you be blabbering about in the new year? At this time of year, we tend to remember headlines and stories which took place throughout the year. Every year is filled with amazing stories - from surviving floods and earthquakes to stories of events which happened closer to home. Whether it is a story about success or loss, about survival or discovery, there are stories which move us all in different ways. Which brings me to ask, where are our very own stories? 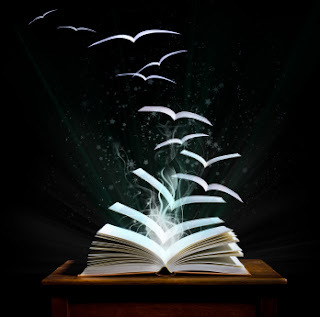 Where are the stories we love reading and sharing? 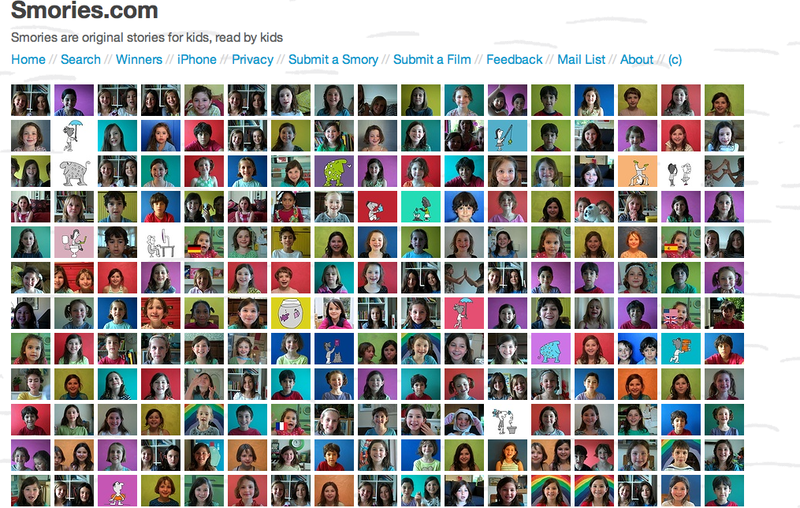 Smories is a place with stories for younger readers and listeners. Smories offers young readers different stories according to their age group but with a difference: these stories are read aloud by a young reader. 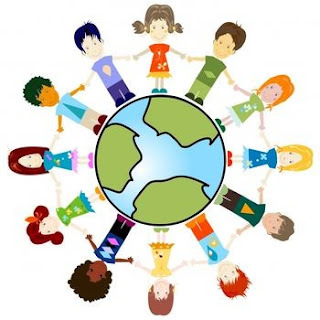 For children who can already read, each short video clip is accompanied by sub-titles, which really helps language learners to improve their reading pace and skills. But there is more: Smories is safe for children and you too can contribute by recording your favourite story and sending it to Smories or even a story. 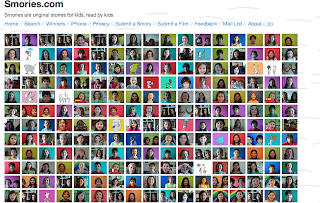 If you find Smories too simple, why not start your own story telling video club within your own school or class wiki? And for those who are far from friends and family, why not send out a message with a difference? 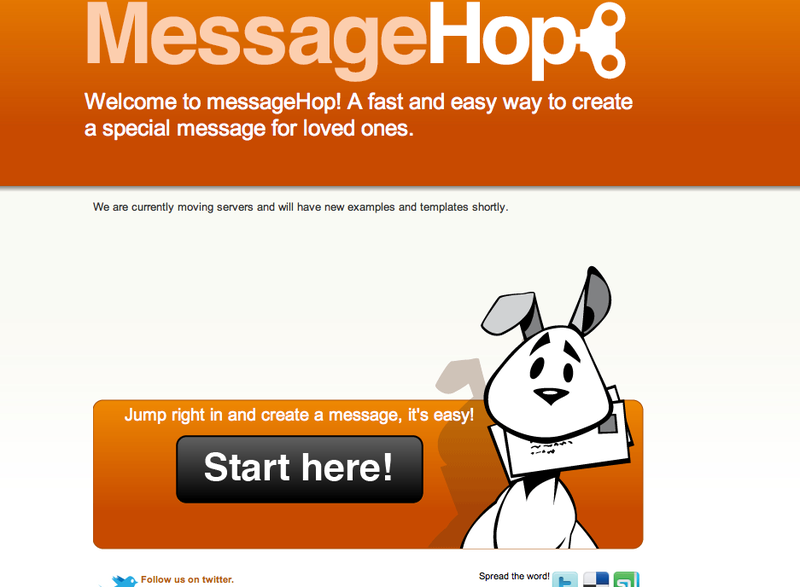 MessageHop allows you to create personalized messages by adding text and images - and no sign up is required. All you need to do is click on "Start Here" and you are reading to create your message. 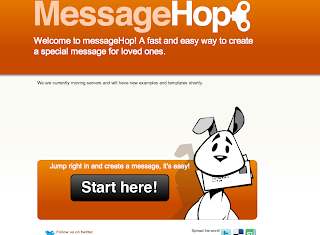 Then, once you have completed your message, you just have to email it - your own personalized message with a difference. How many messages will you be sending? What stories will you be telling and sharing? In 2010, xkcd published a map of online communities. In August 2010, Flowtown, published another map, paying tribute to xkcd's map of online communities (below). 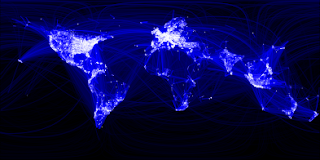 More recently, Paul Butler, caused waves of awe with his map of visual friendships through Facebook. How did all this begin and where is it leading us? Take a few minutes to watch this short clip on the history of the internet. So where does that leave us in 2010? Where can all this lead to? Do you look forward to such a future? 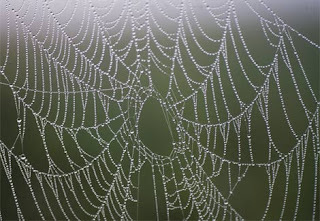 How would you like Web 3.0 to be? Have you ever written a diary? 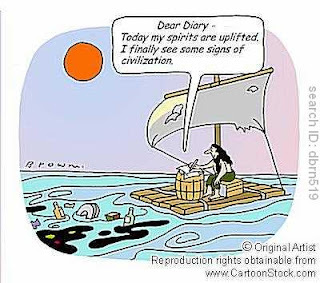 Have you ever written a travel log? Penzu is a free online diary tool which you can access from anywhere at any time. There are plenty of reasons to write - whether it is just to organise your thoughts or to create something new. 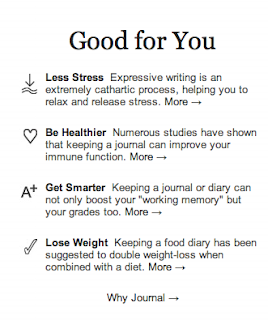 Penzu suggests that writing can actually calm you down as writing releases stress. Penzu from Penzu Inc. on Vimeo. Yet sometimes there are days when we just don't feel like writing and we need to explore knowledge. 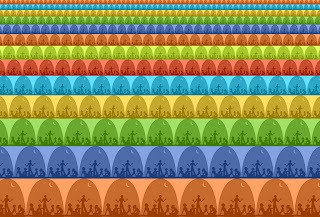 DeweyDigger is one of those sites which helps us get started in our web wanderings. You can find information from the social sciences to computers and technology, from the arts to the sciences. I began my search by clicking on the social sciences and then on education. This screen appeared, making it easy for me to find a topic I was interested in. To read or to write? What do you prefer doing in your free time? 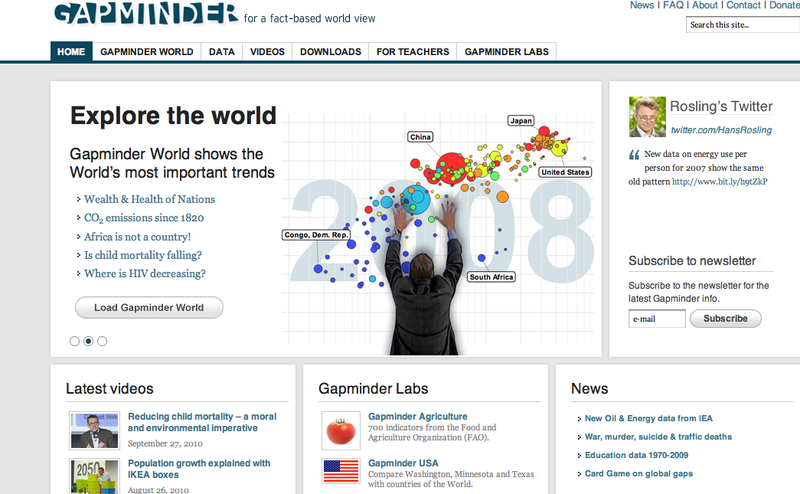 How can you use these tools to improve your understanding of your world? Why do people blog? Why is blogging such an intricate part of our daily lives today? There are all kinds of reasons, but the first that comes to mind, is that your blog is a space where you can embed your work and share your thoughts with others. It is a space for dialogue, for collaboration and a space which you can develop into your own personal learning environment. Above, I chose some reasons by Mitch Joel on why blogging does matter and created a word cloud with Tagul. 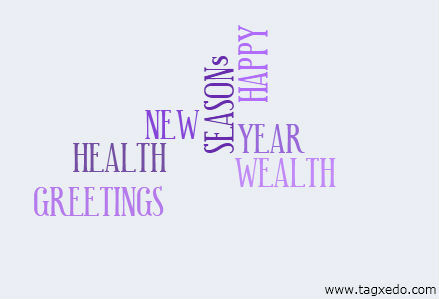 Tagul creates awesome clouds in different shapes and offers features which other word clouds don't. Wordle and tagxedo also make beautiful word clouds and I have already given examples in previous posts. Two other word clouds worth trying out are Word It Out and WonderSay , which makes animated texts that you can send through Twitter or email, or even embed in your digital spaces. To all those celebrating the season, my best wishes and may 2011 be a great year for all! What awesome word clouds will you be sharing? Do you tweet or boo? 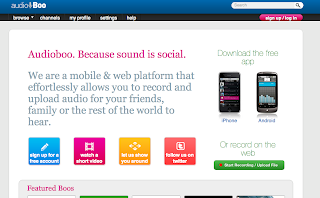 Audioboo is a mobile and web platform which allows you to record and upload audio recordings for your friends as well as embed in your social networks. Basically, it is a platform which allows you to share, manage and create short audio clips, which you can also use as podcasts. Users are able to speak and immediately publish their voice to Facebook, Twitter or to another player in a website. 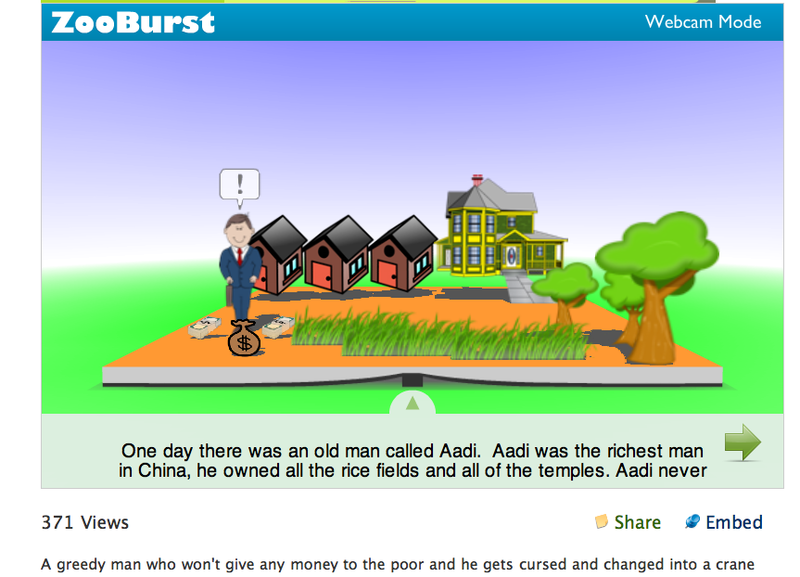 Audioboo also allows you to listen to other users' "boos". Another feature which is appealing is that if you podcast with Audioboo, it can be automatically be updated on Facebook and iTunes. 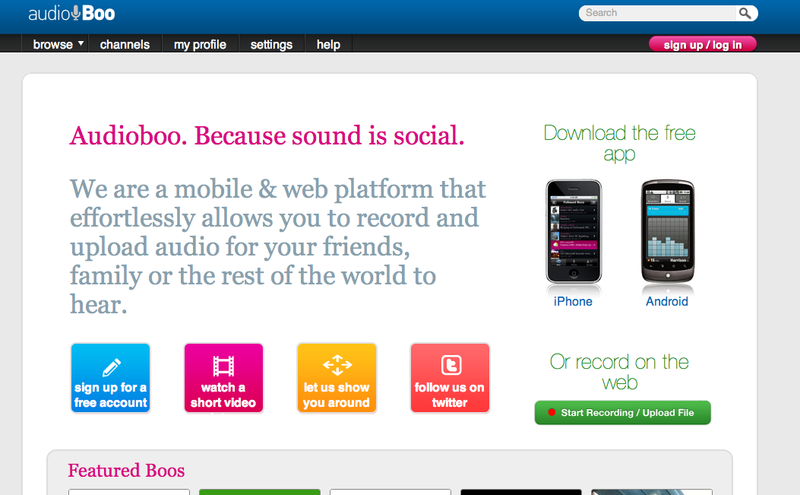 Mobiles are increasingly the most common way people connect, and Audioboo helps fill in that space of social audio. Hello AudioBoo from Mark Rock on Vimeo. What boos are you going to send out? 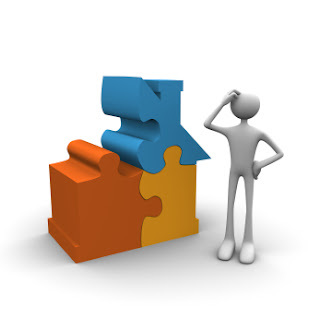 Have you ever had a project which you had to look for updated information online? Newsmap is a mashup where daily news are regularly updated. You can quickly find current news from business to technology, from sports to entertainment. It's easy to navigate and you can also customise it to your own needs and interests. 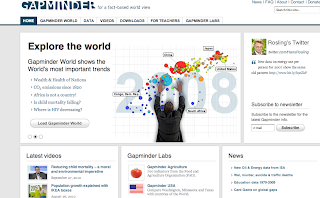 You too can make such graphs by downloading the Gapminder Desktop which allows you to create animated statistics. How can you best use these sites to help you in your projects? Do you find thinking easy? Do you ever wonder about this thing we call "thinking"? As a learner myself, it is something that I wonder about - how do we human beings actually think? What different kinds of thinking are we capable of? Are learning and thinking in any way related? Howard Gardner, a developmental psychologist, is best known for his theory of multiple intelligences, and has been one of my favourite influences since I began teaching. According to Howard Gardner, "We have schools because we hope that some day when children have left schools, they will still be able to use what it is that they've learned. There is now a massive amount of evidence from all realms of science that unless individuals take a very active role in what it is that they're studying, unless they learn to ask questions, to do things hand on, to essentially recreate things in their own mind and transform them as is needed, they ideas just disappear. The student may have a good grade on the exam, we may think that he or she is learning, but a year or two later there's nothing left. If, on the other hand, somebody has carried out an experiment himself or herself, analyzed the data, made a prediction, and saw whether it came out correctly, that's the kind of thinking that's going to adhere, whereas if you simply memorize a bunch of names and a bunch of facts, even a bunch of definitions, there's nothing to hold on to. " As I have suggested elsewhere, one of my beliefs is that instead of only accepting Descartes' s maximum of "I think, therefore I am", one may also perceive learning as doing, and consequently say "I do, therefore I am". Hence, knowledge becomes something that an individual does, and not simply something that we have stored away to forget. Learning and thinking are not always that simple. But we are able to train our minds and to improve our learning patterns. Richard Davidson is a Professor of Psychology and here you can find videos with Richard Davidson discussing issues related to social neuroscience. If you are intrigued by the research and discoveries that social neuroscience is achieving, explore Social Neuroscience , which offers news and videos in the field of social neuroscience. 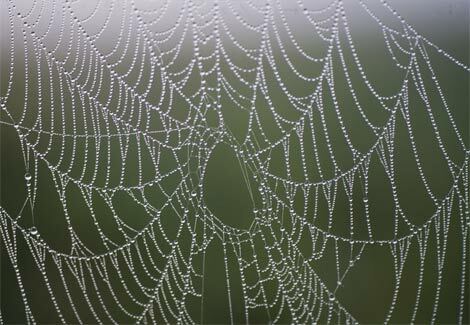 Have you ever felt trapped in a web of thinking? Stuck in your thinking? Not able to find a solution? Lateral thinking is a term coined by Edward de Bono, and may be just the kind of thinking that may help you generate ideas and solutions. Edward de Bono is a thinker who has greatly influenced the field of creative thinking and the teaching of thinking as a skill. Do you agree that thinking is a skill that can be learnt? Do you think that education needs new ways of thinking? Sometimes there is no right or wrong answer in life or learning. In those cases, the best to do is to look for alternatives. 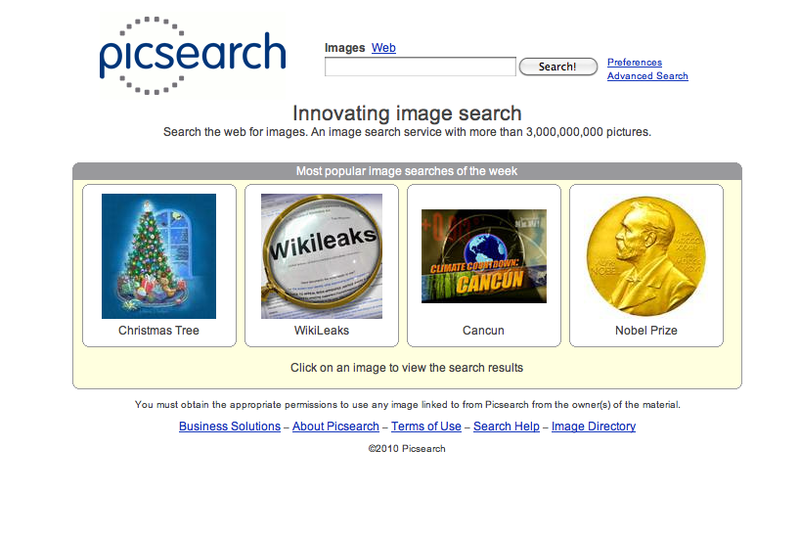 picsearch is an online alternative when you are searching for images. Among other features, it has a mechanism which allows children to surf safely as offensive materials are automatically filtered out. 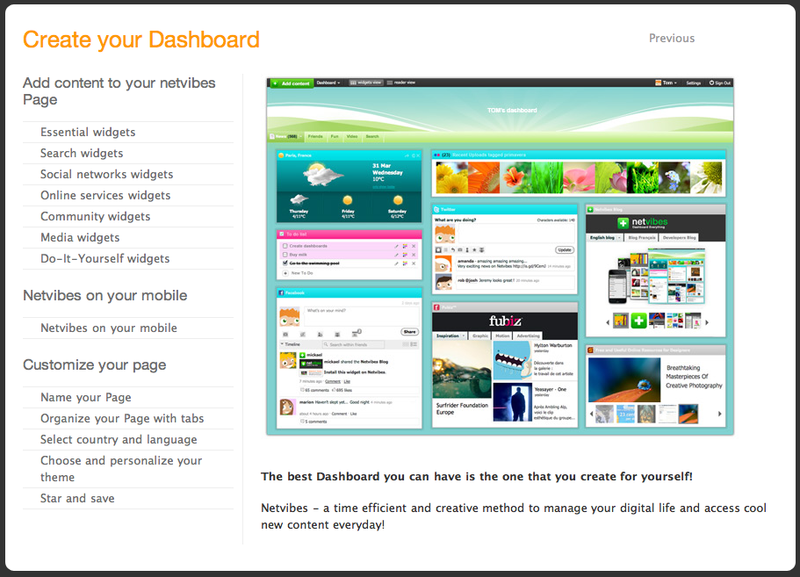 If you are considering an alternative to using Blogger, there is Wordpress and Weebly, but why not try out posterous? 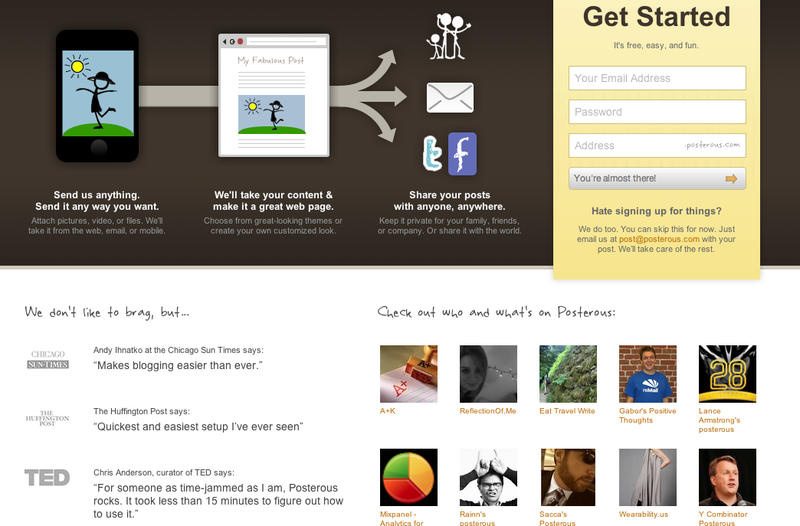 posterous is a simple blogging platform which allows you to send emails and files - all on the go. 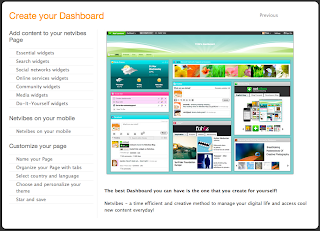 It's particularly designed for mobile blogging and what is often referred to as lifestreaming. Whatever your interests, there are plenty of alternatives for your digital life. All you need to do is to consider what you want and need to do with communication tools and platforms. Then, experiment with them. Easy! What alternative tools have you tried out recently?